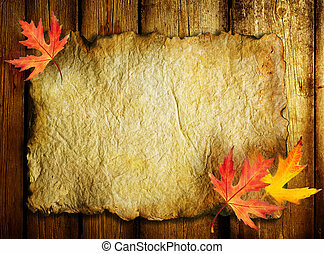 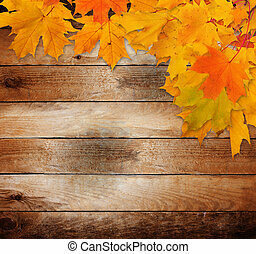 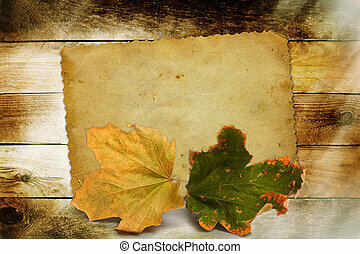 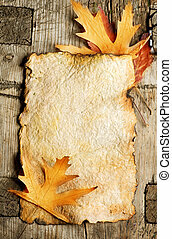 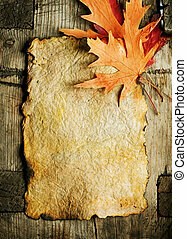 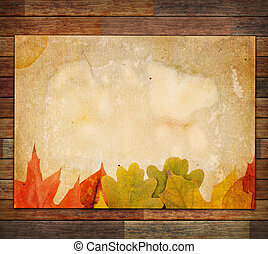 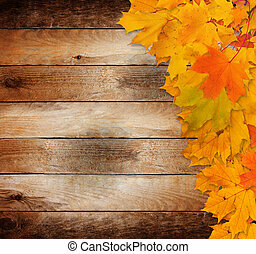 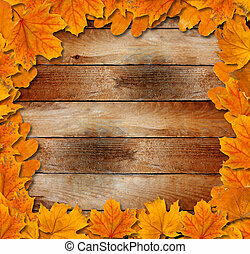 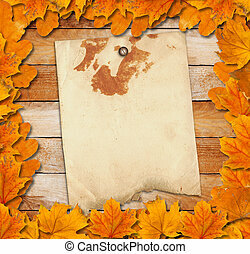 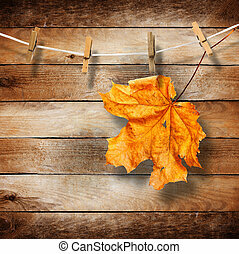 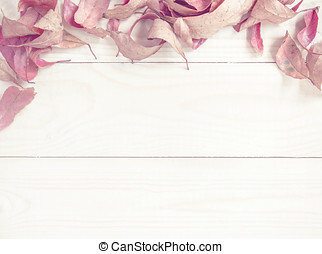 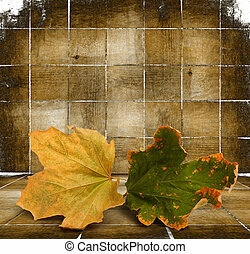 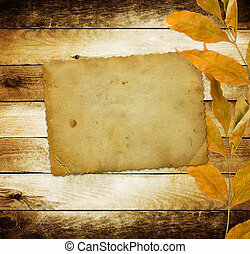 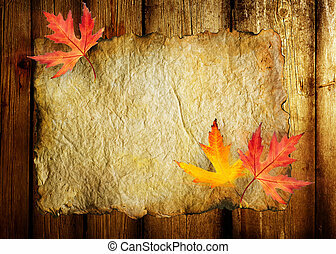 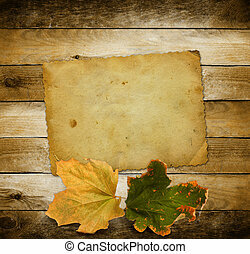 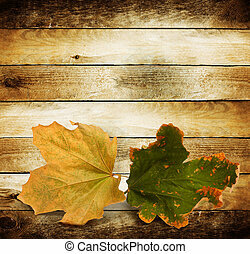 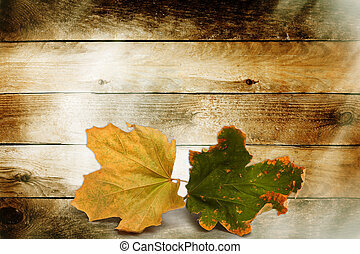 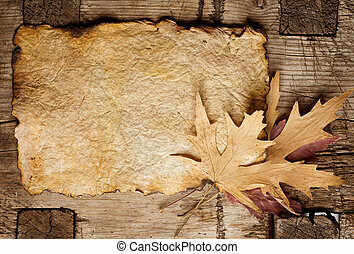 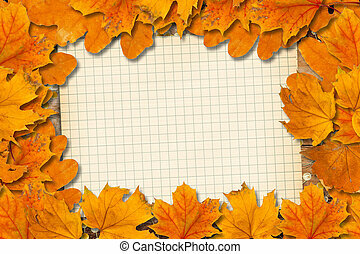 Bright fallen autumn leaves on the old paper background. 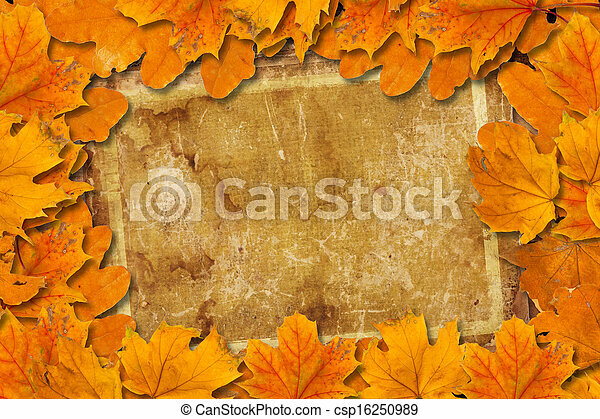 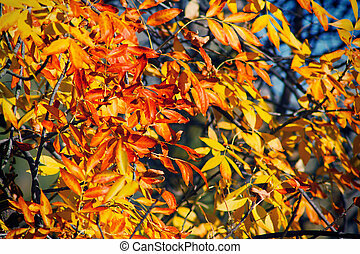 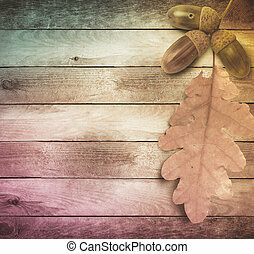 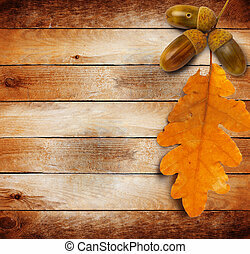 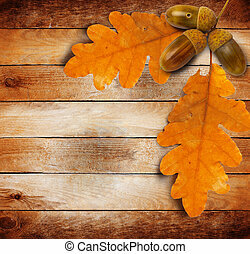 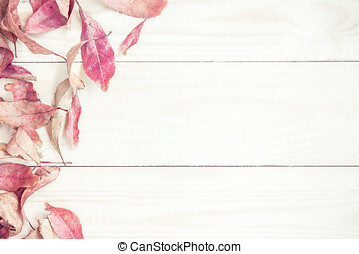 Autumn leaves background. 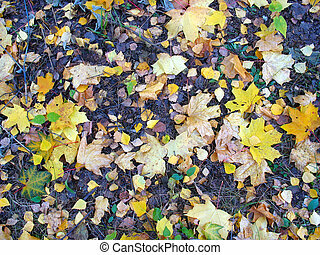 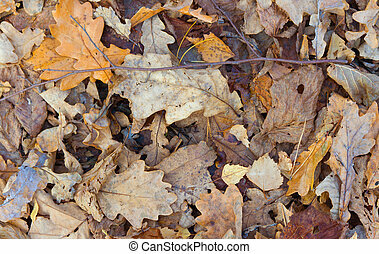 Fallen leaves on the ground.